If the date is white it shows its not available. Green dates are available. For workers or longer stays or to incorporate a stay with one of our courses, please contact us. Set in the heart of the beautiful Afan valley, Glamorgan House is the perfect base to start your adventure holidays. This single storey, self catering apartment offers 1 bedroom that can sleep upto 4 people, 1 large shower and toilet with separate disabled toilet as well. 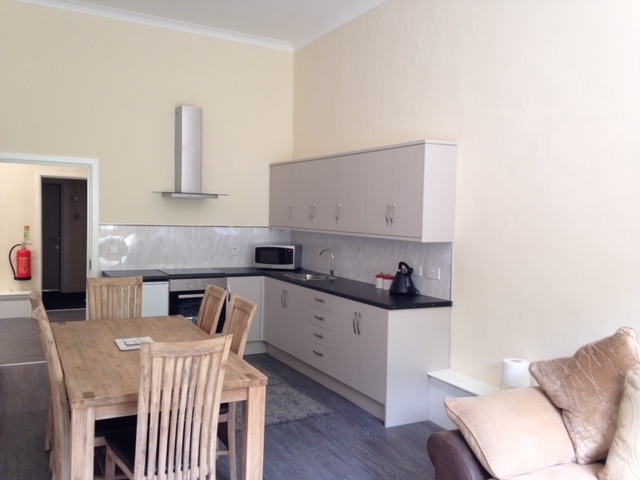 Single storey apartment with 1 bedroom that can sleep up to 4 people. 1 Large shower and toilet and disabled toilet. A fully equipped kitchen and living room. All rooms have stunning views of the mounting. Satellite television in the living room. Free Wi-Fi throughout the building. Pet friendly – Well behaved pets are welcome. There are stunning views out of all the windows of Rhiw- lech Mountain and the Corrwg river below. 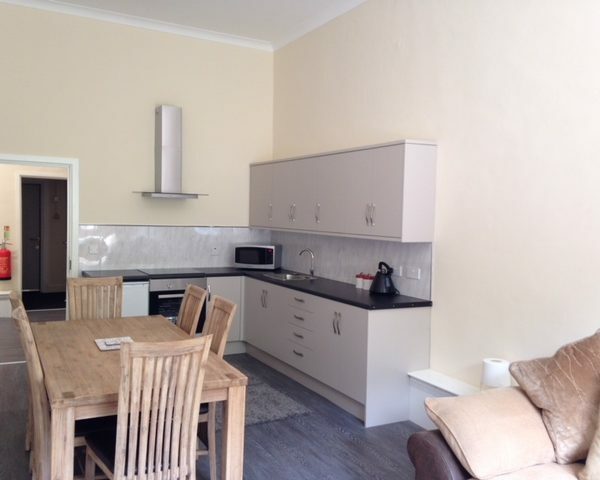 There is a fully equipped kitchen with cooker, fridge/freezer. The spacious living room and kitchen is open plan with a dining table and satellite Television. Pets welcome, well behaved dogs are welcome to stay with you here. There is free Wifi throughout the building. All bedrooms come with clock radios and bedside lamps. Beds are made ready for you with two pillows and a duvet per bed. Towels are included. The whole building is None smoking. Any equipment or Bikes can only be kept in the designated area, not in the living rooms or bedrooms. If you are bringing a pet, please remember to bring bowls and bedding, as we do not provide these. Please click here to view our Booking Conditions. Whether you are a mountain biker, a hiker or a family looking for adventure, Glamorgan house is the perfect place for you to base from. Click here to view what to do in the area as well as local food and drinks venues. For longer stays or to incorporate a stay with one of our courses, please contact us. Set in the heart of the beautiful Afan Valley, Glamorgan House is a multifunctioning building, lovingly restored to a high quality finish. The building sits next to the Corrwg River surrounded by the pretty village of Cymmer.